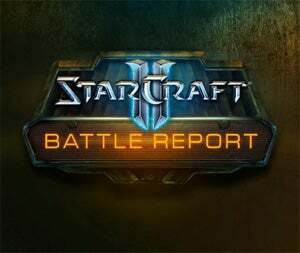 Blizzard has launched the first of their StarCraft II Battle Reports, featuring a 20 minute Protoss versus Terran match in an early alpha of the game with a full commentary accompanying the action. IT actually plays out like a sports match between two of StarCraft II's associate game balance designers, Matt Cooper and David Kim. The commentary is delivered by the game's lead designer Dustin Browder, along with e-Sports member Robert Simpson, who provide insight into the strategies employed by the two players. It's actually a rather interesting setup they have for commentating on matches, and despite the length of the video I found myself watching to the very end. I'm not a very big fan of StarCraft, but I could become of a fan of watching other people play it.